A cavity (tooth decay) is a very small hole that forms on the surface of a tooth. Cavities are caused when sugars in the food we eat and bacteria in our mouths mix together, producing a mild acid that eats away at outer layer of our teeth (called enamel). The caries lesion, the most commonly observed sign of dental caries disease, is the cumulative result of an imbalance in the dynamic demineralization and remineralization process that causes a net mineral loss over time. 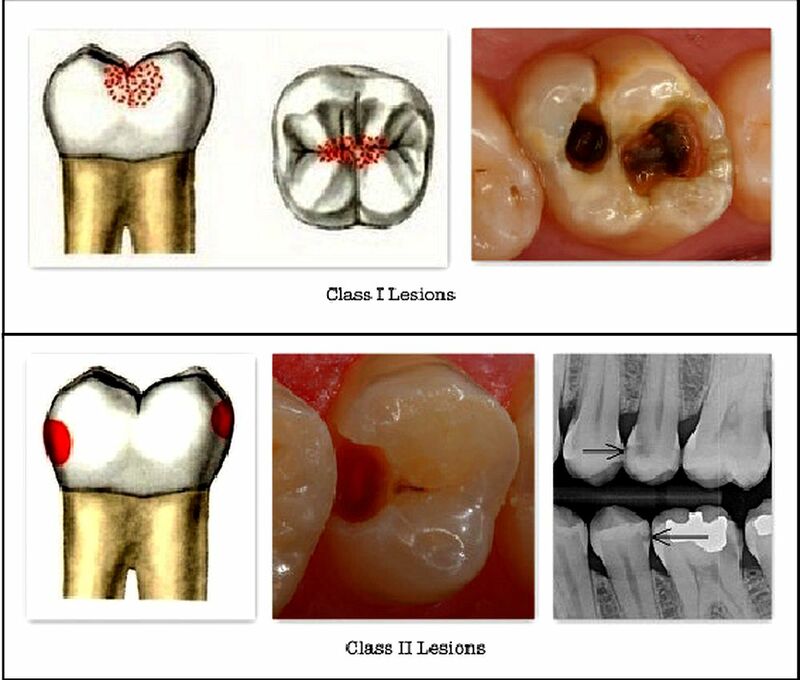 A classification system to categorize the location, site of origin, extent, and when possible, activity level of caries lesions consistently over time is necessary to determine which clinical treatments and therapeutic interventions are appropriate to control and treat these lesions.